Heart failure is a global cause of morbidity and mortality. In the USA alone, nearly 7 million individuals have heart failure. By 2030, over 8 million individuals are expected have heart failure with an associated healthcare cost of nearly $70 billion . Beginning in the 1960s, the concept of ventricular load was introduced as a fundamental trigger for maladaptive cardiac remodeling and poor clinical outcomes. Ventricular load is commonly defined as any variable that increases myocardial oxygen consumption. Sentinel work by Suga showed that myocardial oxygen consumption directly correlates with ventricular pressure, volume, stroke work, and heart rate . Since then, decades of translational studies have identified both pharmacologic and device-based strategies to reduce ventricular load. Over the past 2 decades, the use of surgically implanted durable ventricular assist devices has grown immensely and serve as a critical option for “cardiac replacement” when patients develop advanced heart failure refractory to medical therapy. By creating a viable “exit strategy” for these patients, VADs have generated intense interest in the field of acute mechanical circulatory support devices, which are commonly placed via percutaneous or minimally invasive routes. Commercially available acute MCS devices now include the Impella pumps (Abiomed Inc), TandemHeart pumps (TandemLife, Liva Nova Inc), and veno-arterial extracorporeal membrane oxygenation (VA-ECMO). The hemodynamic effects of these AMCS devices has been and remains the subject of intense investigation, however the biologic impact of these technologies on ventricular remodeling, coronary blood flow, end-organ perfusion, systemic inflammation, and hemocompatibility remain poorly understood. In this issue of the Journal of Cardiovascular and Translational Research (JCTR) we focus on new and emerging topics in the field of mechanical unloading. First, considering the recently published Door to Unload Pilot Tria , two review articles by Curran et al. and Kapur et al. discuss the hemodynamic and metabolic impact of acute ventricular unloading and cardioprotection in the setting of an acute myocardial infarction. These reviews explain the concept of first unloading the heart using an AMCS pump before reperfusion to limit damage in acute myocardial infarction. Next, Westenfeld et al. and Tschope et al. begin to explore the impact of ventricular unloading on myocardial inflammation and reactive oxygen species generation. These studies are among the first to demonstrate that ventricular unloading reduces local and systemic inflammation. Consistent with these findings, Ishikawa et al. show that in addition to reducing pressure-volume relationships, AMCS pumps can reduce ventricular strain using speckle-tracking echocardiography. Next, Saku et al. report exciting new data where they combine device and drug based ventricular unloading approaches with the Impella device and ivabradine. They demonstrate for the first time that the combination of targeting ventricular pressure, volume, and heart rate is a powerful approach to reduce myocardial oxygen consumption and damage in acute myocardial infarction. In the final three reports of this special issue, we begin to address the right ventricle. Yourshaw et al. report new data that LV unloading had a salutatory effect on right heart hemodynamics and function. This report shows for the first time that percutaneous LV unloading reduces RV load and improves RV adaptation. Next, Krestchmar et al. report the impact of a novel RV support device known as the Perkat pump. This pulsatile balloon displaces blood from the inferior vena cava to the pulmonary artery and is shown in a sheep model of pulmonary embolism to improve cardiac output. Given the importance of biventricular mechanics in heart failure, Hord et al. report their preclinical experience with a novel technology known as the CorInnova pump. This minimally invasive device is an epicardial compressive heart assist pump that that can increase cardiac output and reduce ventricular stroke work. A major potential advantage of this approach is the ability to pump the heart without any blood-contact. 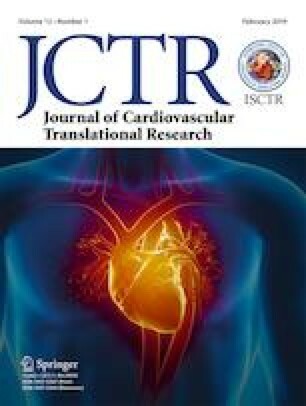 The AMCS is rapidly evolving to now include fundamental biologic discoveries in the field of mechano-transduction, increasing understanding of how unloading devices may terminate myocardial ischemia and trigger a cardioprotective effect in the setting of acute myocardial infarction, new data supporting that ventricular unloading reduces myocardial and systemic inflammation, and new therapeutic approaches involving combining drugs and devices to maximally unload the heart and new concepts and technologies to support the right heart. A unifying theme among the reports in this issue is that ventricular unlading is a therapeutic principle, not a specific pump. Any device that can reduce myocardial oxygen consumption while maintaining systemic perfusion may be considered an “unloading device.” As biomedical engineering advances, we anticipate smaller, more innovative pump designs that are easier to implant and can rapidly and effectively unload the right and/or left ventricle. Given the growing number of patients with heart failure and limited number of donors available for orthotopic heart transplantation, the use of durable VADs will likely become a more viable option for many patients with advanced heart failure. As a result, the need for AMCS strategies for patients with acute myocardial infarction, heart failure, or cardiogenic shock to recover their native heart function and avoid the need for durable MCS or other cardiac replacement strategies will grow in parallel. No industry funding or support was received for this manuscript. Dr. Kapur is supported by the National Institutes of Health RO1HL139785, RO1H133215. Dr. Kapur receives research grant support and speaker/consulting honoraria from Abbott, Abiomed, Boston Scientific, Medtronic, MD Start, preCardia, and LivaNova. Dr. Kiernan receives speaker/consulting honoraria from Abbott and Medtronic.